The indigenous Costa Rican tribe Boruca (also called Brunka or Brunca) is known for its vibrant, intricately carved and painted masks. But behind the mask is a community built on rich and unequalled customs, foods, festivals, traditions and more. Hear Boruca villagers tell stories passed down through many generations, shaping the spirit, identity and culture of the Boruca people. Boruca people are artisans known for their traditional masks, weaving and other handmade objects. Explore how each craft is made. 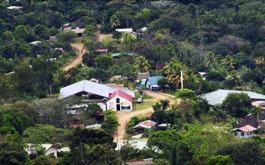 Daily life in Boruca reflects a self-sustaining agricultural village, but one where the majority of the economy is supported by artisan crafts and ecotourism. Discover the aspects of Boruca culture including religion, food, medicine and education along with the people themselves. 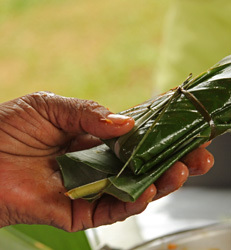 Boruca, spoken only by a handful of village elders, is still an important reflection of the people and their identity. Find out how the community is keeping the language alive. Find Boruca with directions and an interactive map.